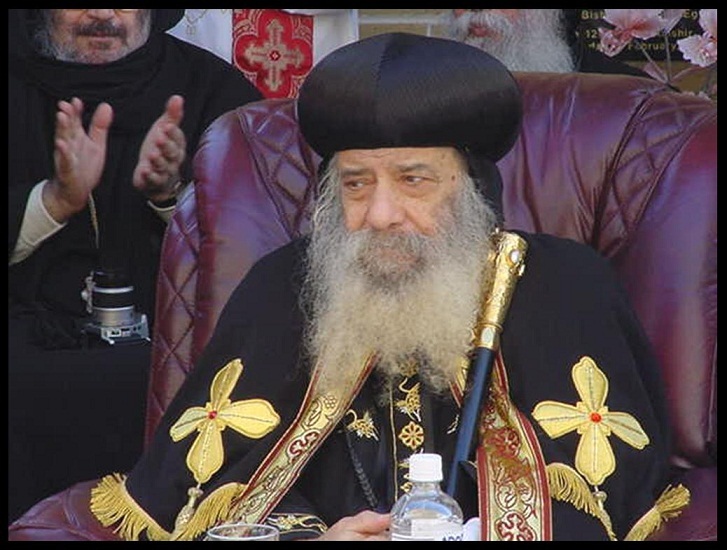 PRIME Minister Julia Gillard has offered the nation's condolences to the Coptic community after the patriarch of the Coptic Orthodox church died in Egypt overnight. Pope Shenouda III, died at the age of 88 after serving in religious life for 60 years. He was the spiritual leader of Egypt's coptic Christians, who make up 10 per cent of the nation's population and have been the brunt of attacks, as a Christian minority in the region, in recent years. "On behalf of all Australians, I offer my condolences to the Coptic community in this very sad hour," Ms Gillard said in a statement today. "We know the eight million Coptic Christians in Egypt - and millions more worldwide - have lost their patriarch in a most difficult time in their history." The Australian Coptic community looked to events in Egypt with great anxiety for their fellow faithful and holy people, the prime minister said. "I want them to know today that the Copts of Egypt are not without friends in the world, or in Australia."